Contemporary Asian cities are often perceived as being in a state of influx due to the speed through which changes occur; from the built environment to the people that inhabits within it. Rural farmlands are capable of being transformed to an urbanized area within a decade, like its neighboring cities this phenomenon also occurred to Taichung. Crisscrossing through high-speed network circulation and flow of goods and services are vast number of people constantly on the move. 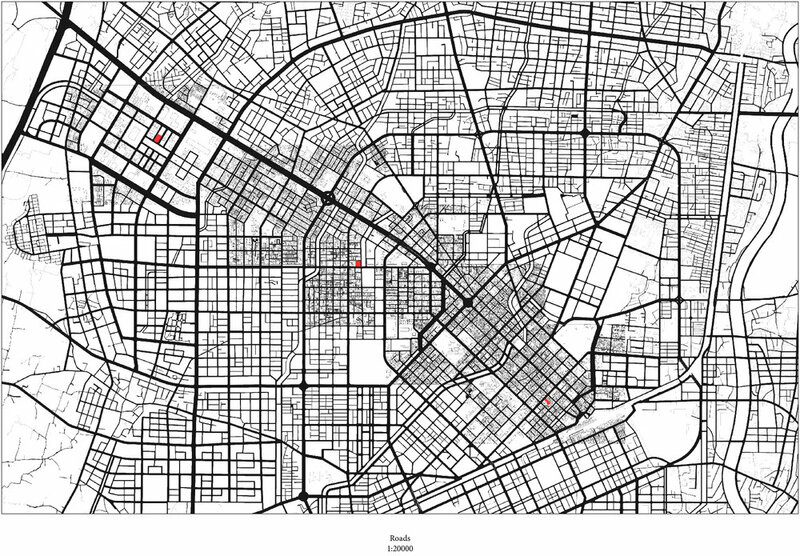 This is particularly evident in the three sites that we have chosen for the studio project each with very different characteristics in terms of its relationship to the history of the city. Site A can be seen as the Colonial Trace which was planned by the Japanese, it is functionally diverse, edgy and half empty, and it is currently undergoing an urban renewal; Site C is the Economic Boom planned by the government of Taiwan during the 1970s which is perhaps the most livable and lively district with good mixture of community amenities, and finally; Site B, the Mega Block which is a recent development that happened in the last 15 years, it is highly exclusive and a residential-zoned area with largely luxury developments. In recent years, Taichung has developed through the approach of tabula rasa, real estate dominance, economic prioritization and focusing on individual vehicular transport with a lack of consideration for open public space. 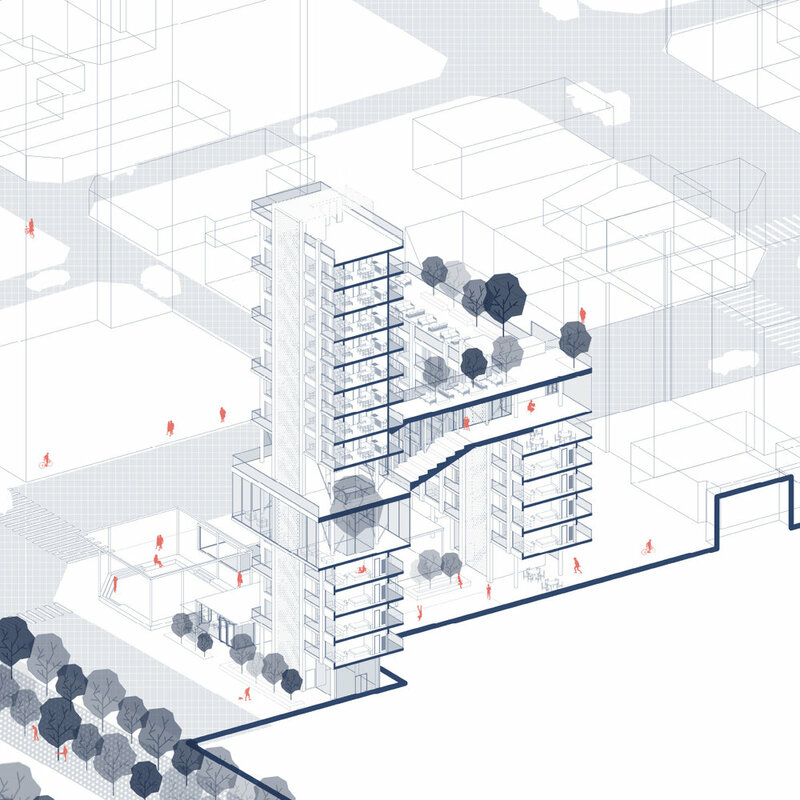 Within this city of perpetual action, reaction and transaction, several questions were asked before establishing the pedagogical framework for the design studio: What role does Architecture have in generating a sense of place, of creating a 'pause' within a city that is becoming highly transactional similar to other cities such as Hong Kong? 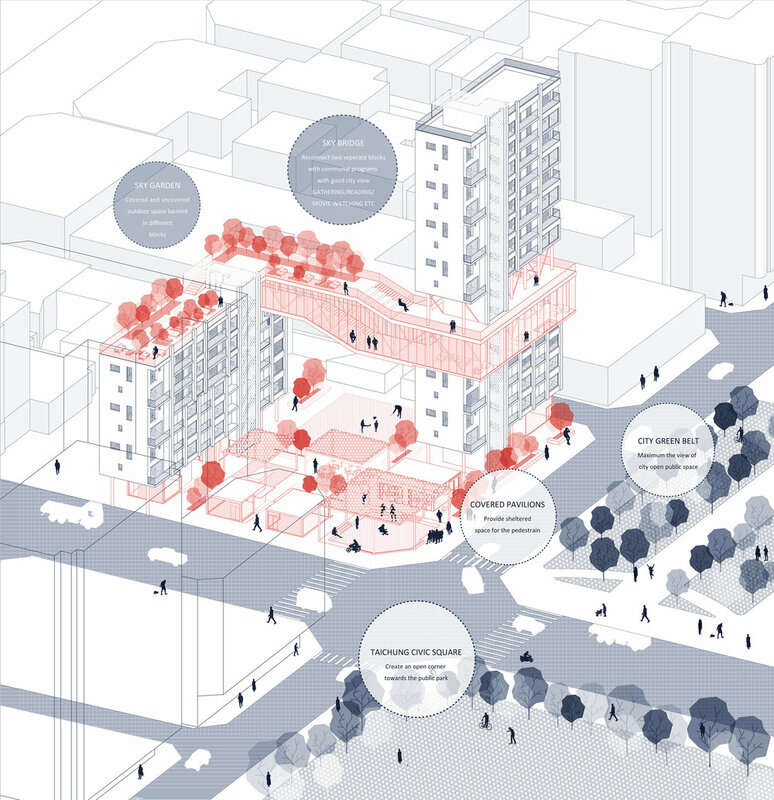 Is it possible to use Collective Housing as an agency to trigger placemaking through a balancing act of architectural forms with cultural and social contents? 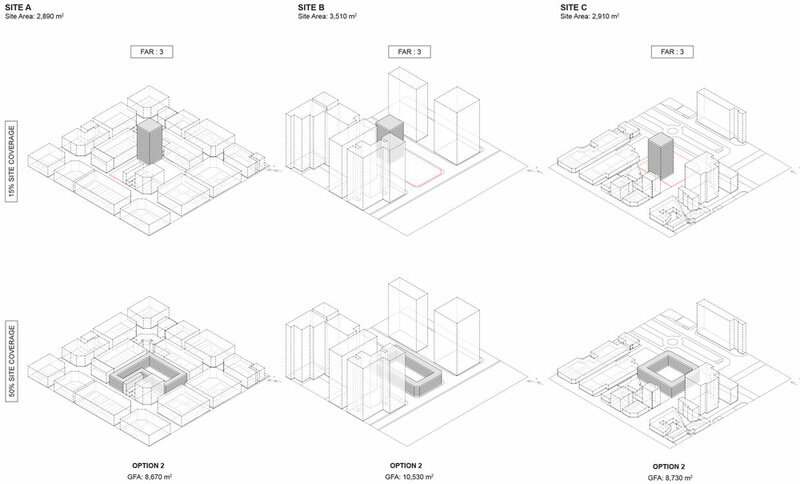 If the motivation is to make a place in a highly urbanized city like Taichung, must the premise of the design project be ambitious in scale through enormous Floor Area Ratio? Could an alternative development model be possible, allowing the propositions to fit within the existing neighborhood rather than the prototypical blank slate approach? 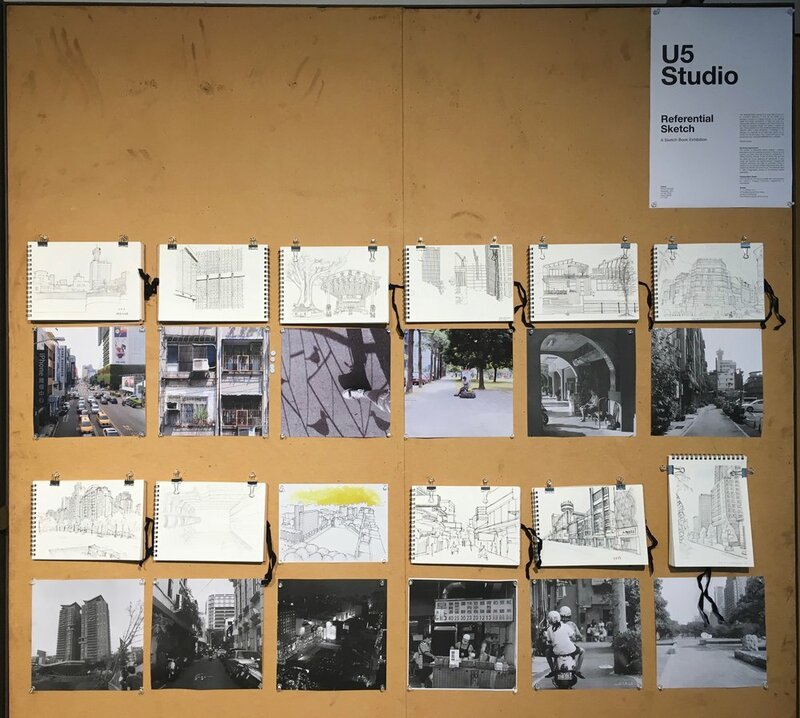 These are the questions posed when considering the problem to the design studio for our year-four students, the compulsory U5 studio. For the first time since the inception of the U5 Studio, we have the opportunity to work on sites outside of Hong Kong. This is a necessary reflection and reaction to the evolving and changing landscapes of the built environment. Particularly crucial in the context of the homogenous globalised practice which helped to create it. Many thanks to our wonderful collaborators in Tunghai, we feel particularly grateful to Chairman Hao-Hsiu Chiu for his intellectual and logistical support.